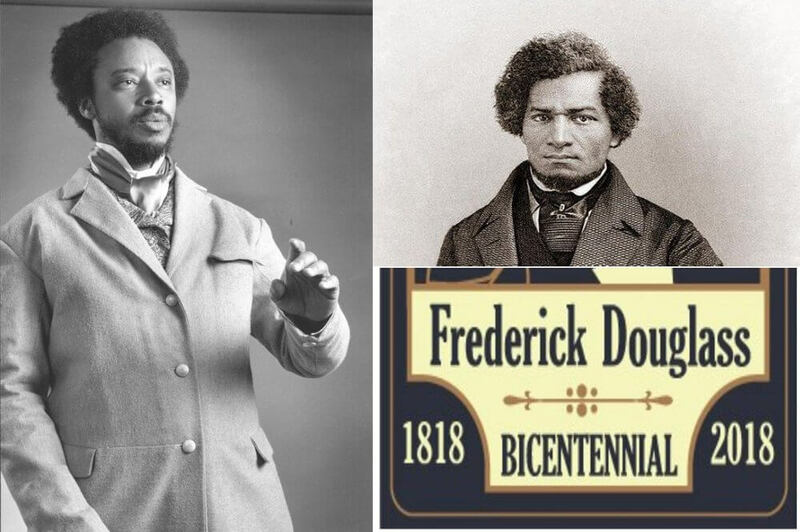 This collaboration between the Nantucket Historical Association, the Nantucket Atheneum, and the African Meeting House of the Museum of African American History celebrates the 200 Year Anniversary of Frederick Douglass with an afternoon of events. At Noon, in the role of Frederick Douglass and on the very stage where Douglass made his first public speech during the 1841 Anti-Slavery Convention, Guy Peartree, delivers a one-man play that encompasses Douglass’ life from his birth into slavery, his relationships and experiences on the slave plantation, his education, escape from slavery, and ascendancy as America’s foremost black abolitionist. Guy Peartree renders Frederick Douglass with sensitivity to the historical and folkloric features of this period in American History. The program is a first-person portrayal of Frederick Douglass featuring highlights from his life gleaned from autobiographical and biographical sources. After a break, the audience is invited to the African Meeting House for Q&A with Frederick Douglass, followed by a concert of traditional African-American music with Jason Sullivan Project, a subject dear to Douglass’s heart. The performance will make reference to the oral tradition of Africans in America conjoined with Peartree’s interpretation of the influence of the ritual space of the African American worship and gospel traditions on Frederick Douglass’s cultivation of skillful oratory.